My daughters had a lemonade stand the other day, so I took the opportunity to do a little campaigning. 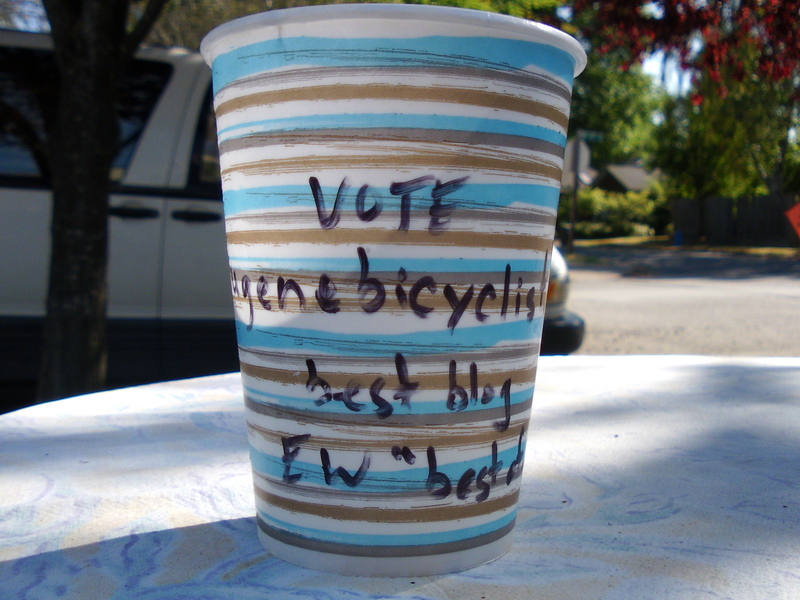 Yes, it’s time for the Eugene Weekly’s “Best of Eugene” contest. You can vote for your favorite Eugene institutions in all sorts of categories, one of which just happens to be “best blog.” So go here and vote.